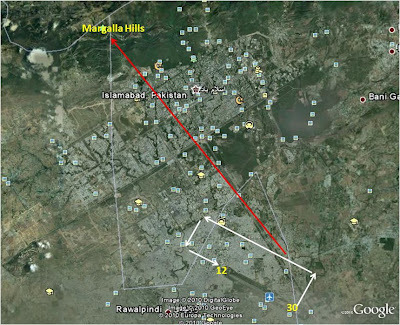 As I gather details from Reference Document on Pakistan Crash (see my earlier link to this post) and understand the use of 12 and 30 ends of the runway, using the ILS at end 30, I drew a sketch on Google's Earth image of Islamabad. 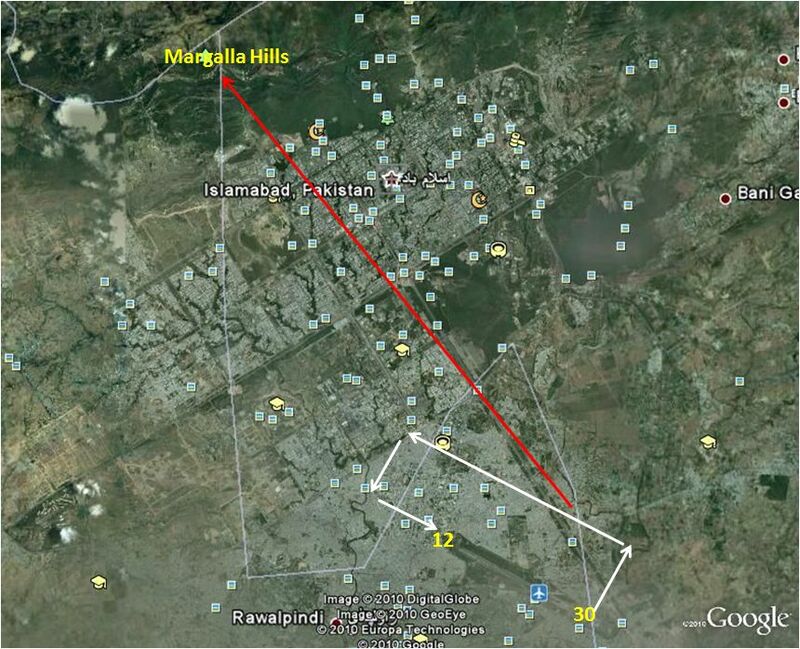 The white arrows show the route ED-202 should have adopted. The red arrow shows the much longer drifted path towards north rather than north-west, that led the airbus to the valley of death. Only time and technical analysis and evaluation would tell the exact casue of this drift. But whatever is done now would only be a lesson for tomorrows captains and the cokpit crew and the ground controllers, as those unlucky 152 would never know who erred and why.